Cochran has made Alabama into a well-oiled machine. While Alabama head coach Nick Saban is an individual exuding toughness, he might not be the most ferocious coach on the Crimson Tide staff. Scott Cochran — the Director of Strength and Conditioning — is the fulcrum behind the machine that is the Alabama football program. The famed "Fourth Quarter Program" speaks to the dominating fashion Alabama demonstrates during this portion of any game. 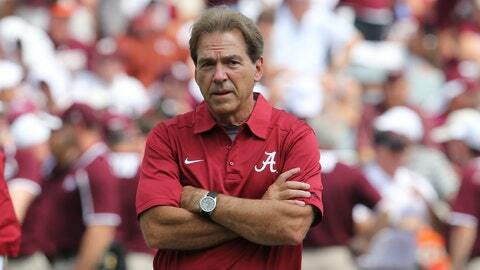 Since 2009, the Crimson Tide have outscored opponents by a combined 404 points in the fourth quarter. As a crop of early enrollees begin to work under Cochran’s watchful (and intense) eye, it’s quite obvious a culture shock does occur initially. "He’s not a joke," Shawn Jennings told 247Sports. "You gotta be mentally tough when you go in there with him. He’s gonna work you. He’s gonna push you, push you hard, push you very hard. But you gotta be mentally tough." While the workouts are understandably exhausting from a physical standpoint, the players do appreciate the overall experience. It’s undoubtedly a key aspect in Alabama’s dominance in the last decade. "With the results we have here, you expect it to be tough. I’m looking forward to it," said Jalen Hurts. "I’ll be getting after it. Everyone will be getting after it. We’ll begin the hunt for No. 17. It has already begun."